Hi all! 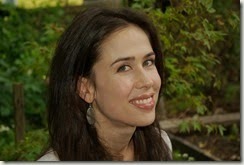 Please welcome author Stephanie Guerra for the latest installment of Diversity Solutions! There have been many calls for greater diversity in YA recently. In this series, we focus on discussing how we can achieve the change we need. 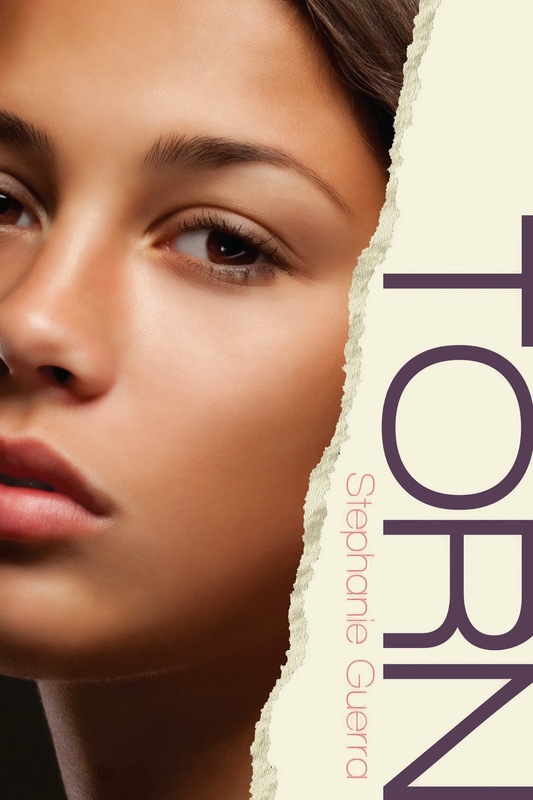 Stephanie Guerra is the author of Torn, a YA contemporary featuring a straight-arrow Latina teen who is drawn into a friendship with a wild-child new chick. Stephanie recently switched gears by penning Billy the Kid Is Not Crazy, a humorous middle grade novel. She is also a contributor to the Latin@s in Kid Lit blog, dedicated to speaking to issues of diversity in children's literature. Hi Stephanie! Thanks so much for joining the discussion and approaching some touchy subject matter! First, can you tell us a little bit about TORN and how you decided to craft your Latina main character? School Library Journal nails it: at heart, this is a book about friendship. Race is secondary and incidental, not pivotal to the plot. The review does not mention race, and I love that. I decided on a Latina main character because two of my closest friends from high school are Latino. The book is dedicated to one of those friends, Carolyn, and although it’s not a biographical story, I did (with her permission) draw on her family and experiences to build my main character. I wish I knew the answer to that! It’s hard to speculate, because I’m on the writing end of the industry rather than the publishing end, and while I understand my own fears and motivations, I’m hesitant to speak for anyone else. Here’s my best shot, extrapolated from my own experience: Writing—and I assume publishing—books about diverse characters can be an anxious process. I’m white. (I married into this last name.) I’m scared of getting it wrong. I’ve taken the leap three times now and am working on a fourth, and each time, I confront serious self-doubt. On one hand, there’s a significant, much-discussed lack of diverse characters in children’s and YA lit. On the other hand, there are many critics and readers who are ready to jump on the slightest transgression in the area of stereotyping. Many white writers have become afraid to attempt characters of color for fear of offending someone for something… we don’t always know what. And I assume some publishers share these fears. It’s easier to play it safe than to risk being called a bigot. My personal belief is that until we can freely write villains from every background imaginable, there is no real equality of representation in literature. My sense is that the quality of the novel—strong characterizations, plot, voice, and language—matters more to publishers than the color of the characters’ skins. It’s hard to narrow down a good answer to your question because there are so many variables involved in the decision to publish a book. My submission process was fairly painless. I sold my debut novel quickly and followed up with another contract for a book about a white ten-year-old with an African American best friend, and then a contract for a series about a white teen and his Russian girlfriend. Both the African-American and Russian characters are central to the plot. I’d like to approach that question from two different angles. First, the “business” side: I don’t know whether writing diverse characters has helped or hindered my career. If someone ever declined or acquired one of my books for that reason, I wasn’t told. Second, the “creative” side: I feel that writing diverse characters has helped my artistic development and stretched the range of my writing voice. One of the great pleasures of fiction writing is the chance to inhabit a character’s world and try on a personality and set of life experiences entirely unlike one’s own. This experience is amplified for me when I’m writing a nonwhite character. I’ve written Latina, Black, Russian and Italian-American characters, and in each case I’ve been stretched creatively and personally. I teach teens from a wide range of cultural and racial backgrounds, and their language, mannerisms, and world views inform my writing to a great degree. I also lean on beta readers of color to vet my books for anything that might cause offense. Both of these practices—working with kids and beta readers—have pushed me to a higher standard as a writer. I suppose that to change this problem, we have to buy more books! Give them as gifts! Vote with our dollars. The second part of your question is timely for me, because I’m previewing covers for my fall release, BETTING BLIND. My protagonist, Gabe, has a Russian love interest who is an important part of the plot, and she’s featured on all the covers I’ve seen so far. The problem is that the designers are selecting all-American blondes instead of Slavic models. Russians are distinctive looking. I’m standing my ground that if this character is to be featured on the cover, she must look Slavic. All this to say, I’d like to have covers that accurately reflect the backgrounds of my characters, no matter how politically unpopular at the moment. 1. Publish books that feature diverse characters but are not thematically focused solely on race and ethnic identity. 2. Promote those books to broad audiences. 3. Expect and believe that young readers will be interested in stories about characters from a wide variety of backgrounds. I know that’s an odd-sounding prescription, but young readers often respond to expectations. There may be a self-fulfilling prophecy at play here: if teachers and parents and writers and publishers hold an unspoken belief that young readers will only respond to characters from their own backgrounds, they may unwittingly act in way that influence kids to fulfill their expectations. For instance, if we only hand white students books about white kids, we are saying something. So, perhaps if publishers and other adults change their expectations, they may interrupt this cycle and improve sales of books with diverse characters. 1. If a writer isn’t ready or called to attempt a main character from another background, then he or she might consider including diverse supporting characters. 2. Volunteer with kids from these communities. Make author visits. Make an effort to connect with this audience offline or on. 3. Write books that are not narrowly focused on the race/culture/identity experience. Write a book that everyone will want to read. One of the big issues I see in multicultural literature is that if a book features a non-white character, it must therefore be “about” race. This adds a layer of unnecessary pressure and does not reflect real life. Thank you so much for your fantastic answers, Stephanie! Lots to think about, folks. Don't miss the other installments of Diversity Solutions with Nathan Bransford, Sherri L. Smith, Lamar Giles, Aisha Saeed, Jessica Martinez, and Brandy Colbert! 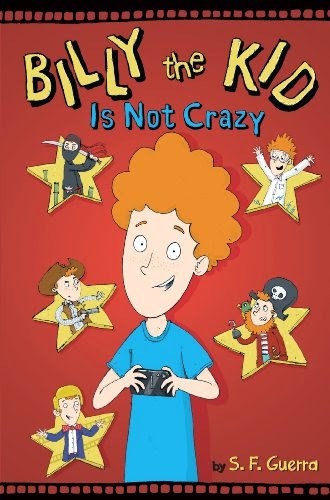 To learn more about Stephanie, check out her website, her posts on the Latin@s in Kid Lit blog, or the video below of an 11-year-old reviewing Billy the Kid Is Not Crazy!